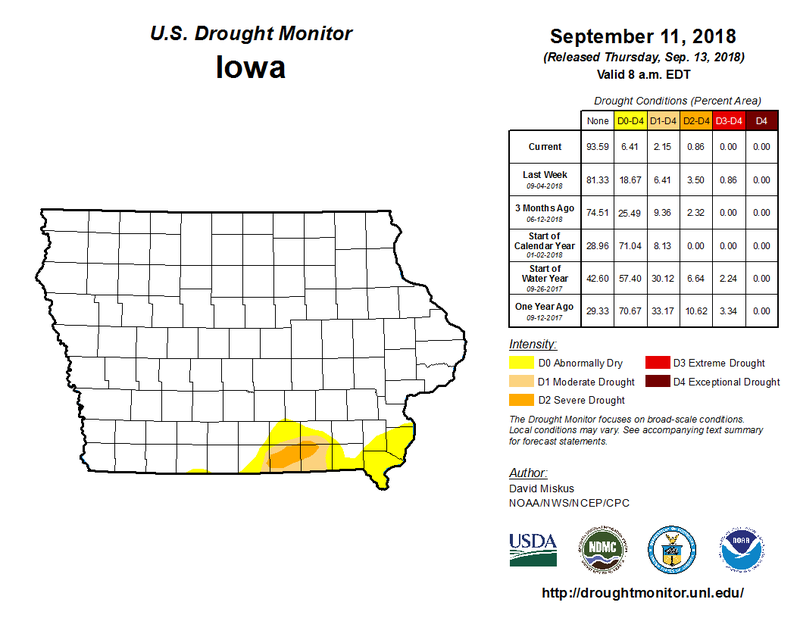 Recent rainfall has eliminated most drought conditions in the area, according to the latest U.S. Drought Monitor Report. Between three to seven inches of rain fell over Marion County and the region from August 28th through September 7th. That rainfall made up deficits throughout most of south central Iowa. Moderate drought and abnormally dry conditions remain in Lucas County. Stay tuned to KNIA/KRLS for the latest weather information.